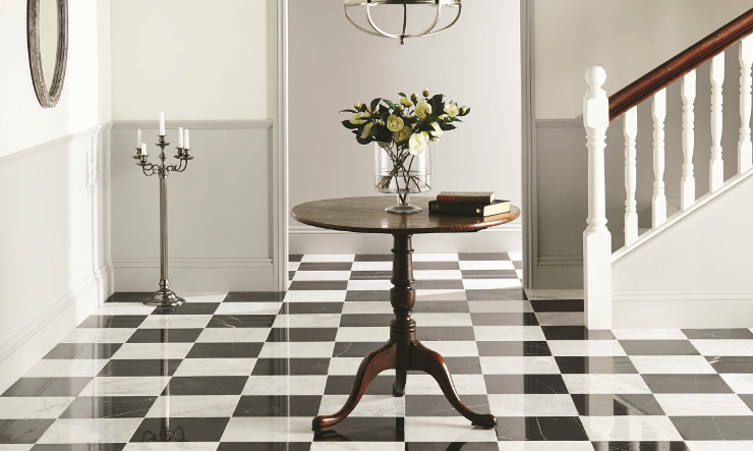 Marble is one of the most lavish and elegant flooring options available. It has the reputation of being the stone of choice for designers, architects and artists throughout history and will add a touch of glamour and sophistication wherever it is used. Marble is a metamorphic rock formed when limestone is exposed to high temperatures and pressures. Marble forms under such conditions because the calcite forming the limestone re-crystallises, forming a denser rock. 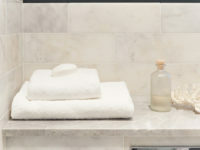 The variety of colours exhibited by marble are formed when minor amounts of impurities are incorporated with the calcite during this process and this is where the many different vein colours come from. 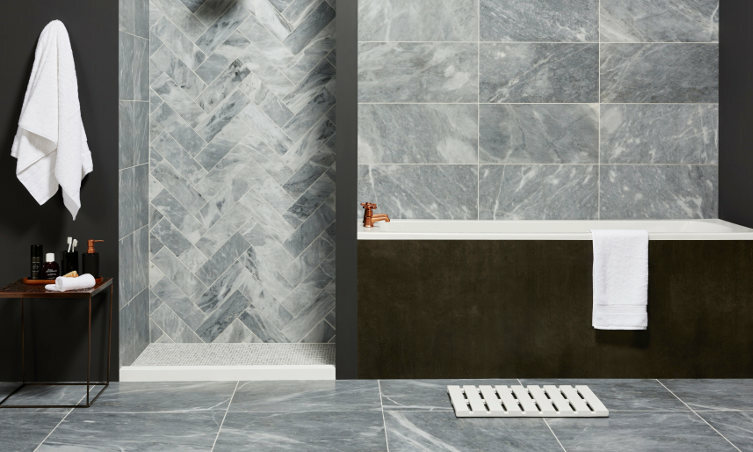 Marble tiles can be found in an enormous range of colours that include greys and blacks, greens and blues, yellows, browns and of course off whites. 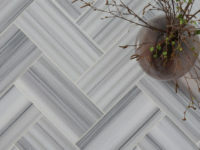 For this reason there will be a marble tile to suit any colour theme in your home. Marble flooring can come with several different surface finishes to give different looks to your project. Polished – perfectly smooth gloss finish, gives a very contemporary, yet detailed and bespoke look. Tumbled – worn, tiles with distressed edges, which gives a more rustic feel to your project. 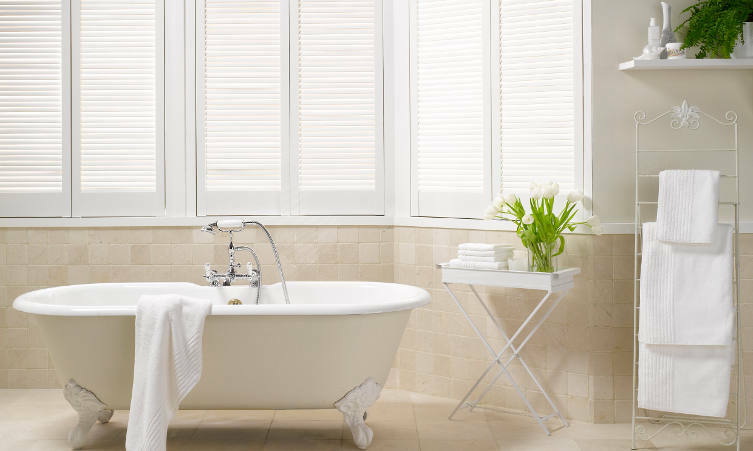 Brushed – a slight surface texture to give grip under foot, especially good in areas that tend to get wet (for example bathroom floors) due to the extra grip achieved using this finish. Antiqued – a term used for various distressing methods to achieve a worn look. These are ideal for people who want to achieve that cottage-like look as these tiles look more distressed and used. 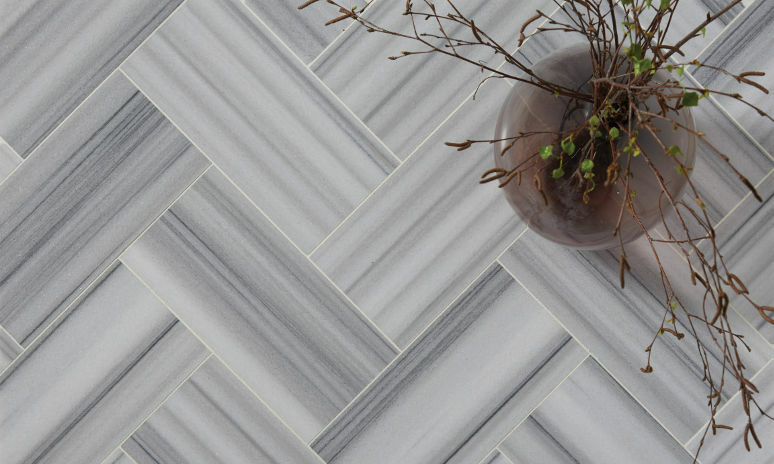 These days, marble tiles are finding more and more applications, ranging from bathrooms to commercial buildings. Marble tiles stand as a decorative natural stone choice that cannot be matched aesthetically. The range of vivid colours and veining present in marble is not present in any other stone. From brilliant whites, electric blues and deep reds, to vivid yellows and true blacks, all colours can be found in marble. 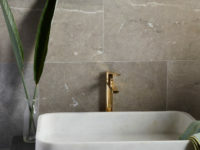 Also some types of marble can have pale base colours with striking contrast veining running through the tile. 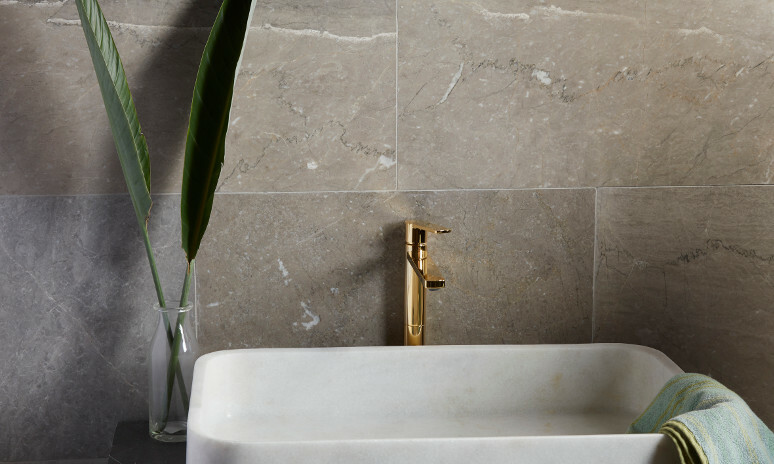 The polishing process that most marble tiles undergo extenuates the natural colours present and gives some protection from stains and spillages to the tiles. The tips to follow are to help you make sure your marble floors last as long as possible and keep their bright and elegant character. Always seal marble prior to grouting or use. Deep clean and re-seal every 1-2 years to make sure the tiles keep their full detail and glamour on show. Always use a grout that is similar in colour to the stone to avoid a picture-frame effect. 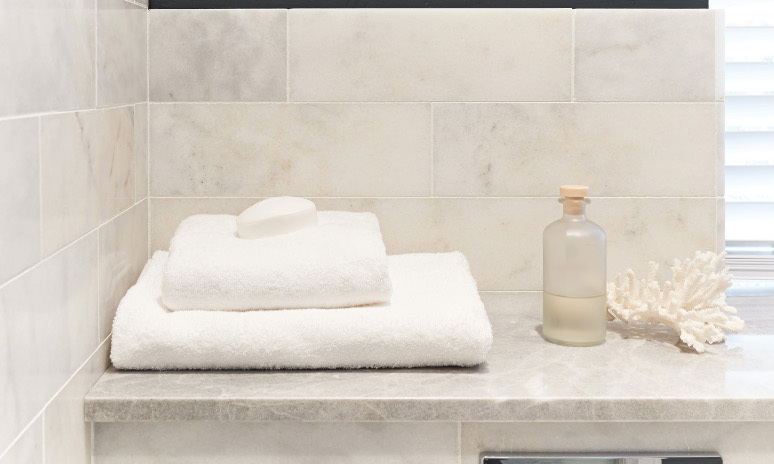 Always use a neutral detergent to clean marble, so avoid any bleach products when cleaning natural stones. In general, light-coloured marble is difficult to maintain in flooring applications with heavier traffic so try to avoid these colours in porches, hallways and anywhere where dirt and grit can be ground into it.